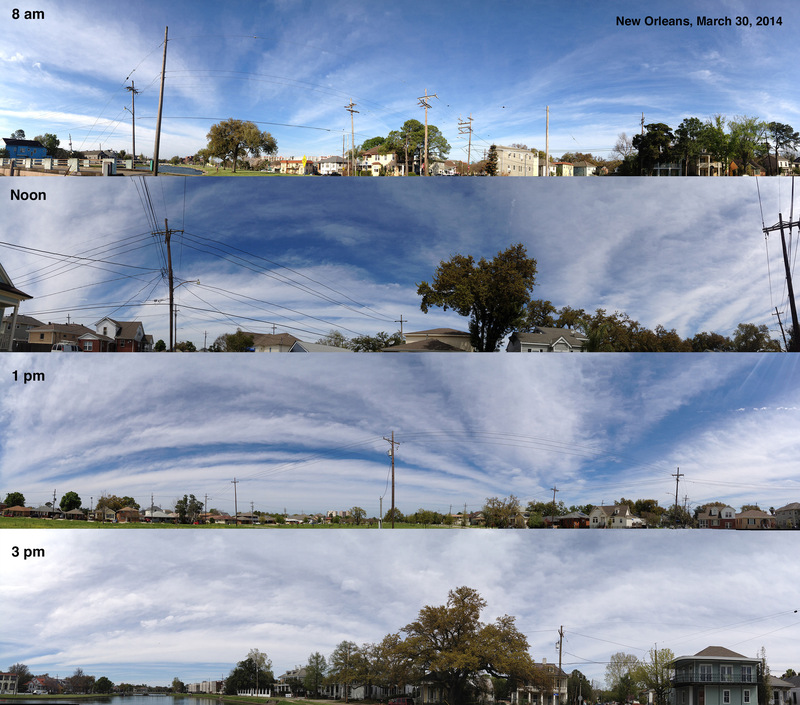 If you ever needed proof that something called “solar radiation management” is happening, look at this timeline of the sky in New Orleans today. Also, check out what the weather radar looked like that same day. The planes were spraying all day to create this haze. If you keep your eye on the sky, you will often see chemtrails make a grid or partial grid / square pattern. 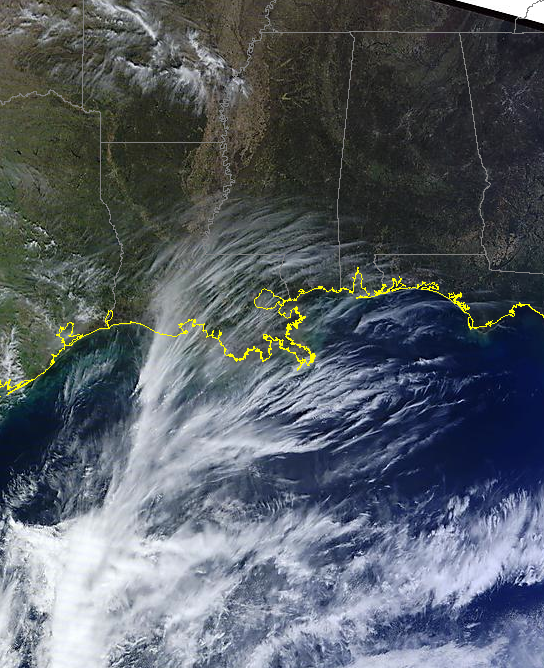 You can also see different variations of squares and grids in different types of cloud formations. Nature don’t make grids, y’all. Here is a sampling of photos, all taken over New Orleans. Chemtrails, haven’t seen these in a while.